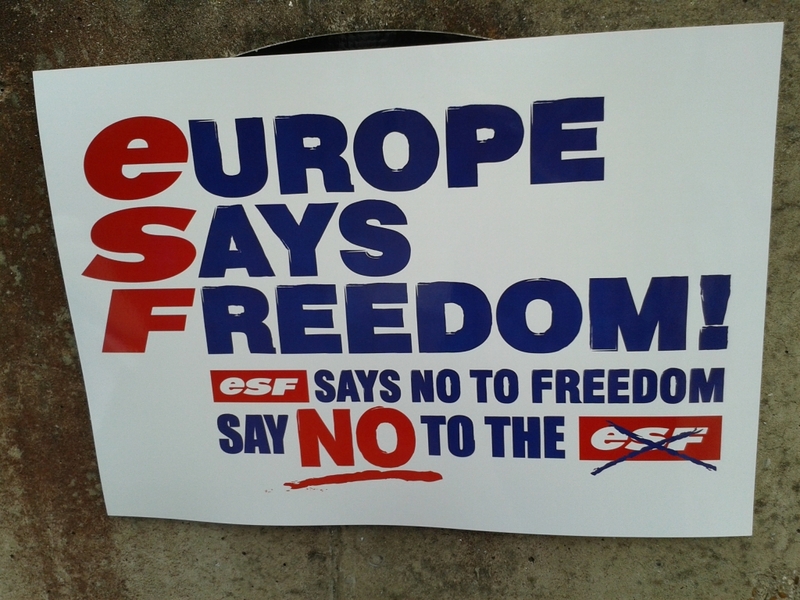 These are difficult days for the ESF in the UK. The current legal cases against Simon Butler and Le Ski have stirred up plenty of negative sentiment within the British market against the ESF. Both cases – which deal with different aspects of the law – are currently at different points in the appeal process, with the British parties having lost the initial arguments. 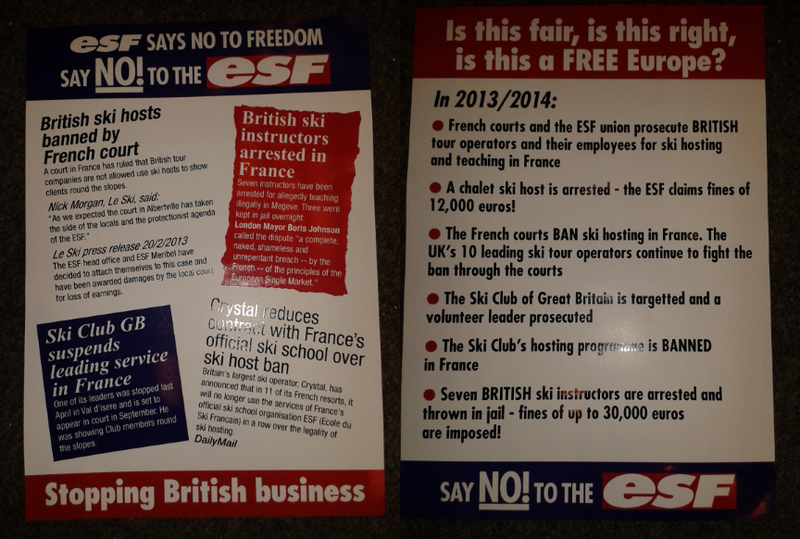 This week the situation escalated as anti-ESF campaigners demonstrated outside the London Ski and Snowboard Show. The ESF realise that they have work to do to restore their reputation. This week twenty resorts sent senior representatives – at their own expense – to meet with British tour operators at a workshop organised by France Montagnes. 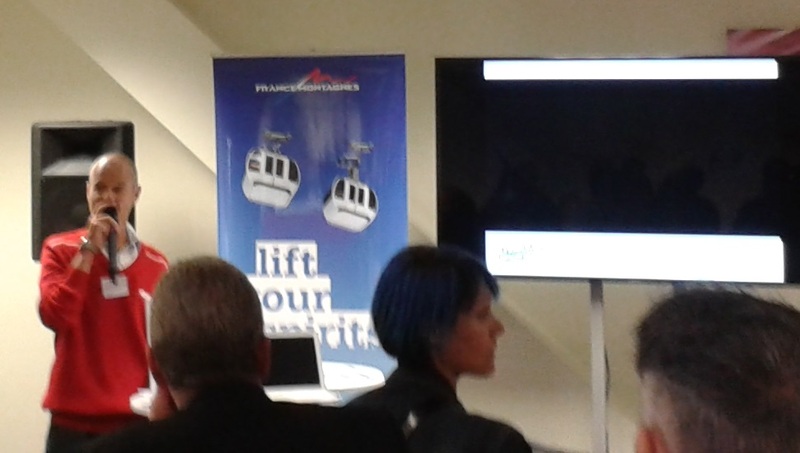 Simon Atkinson, Director of the ESF in La Rosiere stressed to Skipedia that ‘We realise the importance of the UK market’. Many of the British public are blissfully unaware of the politics going on behind the scenes. 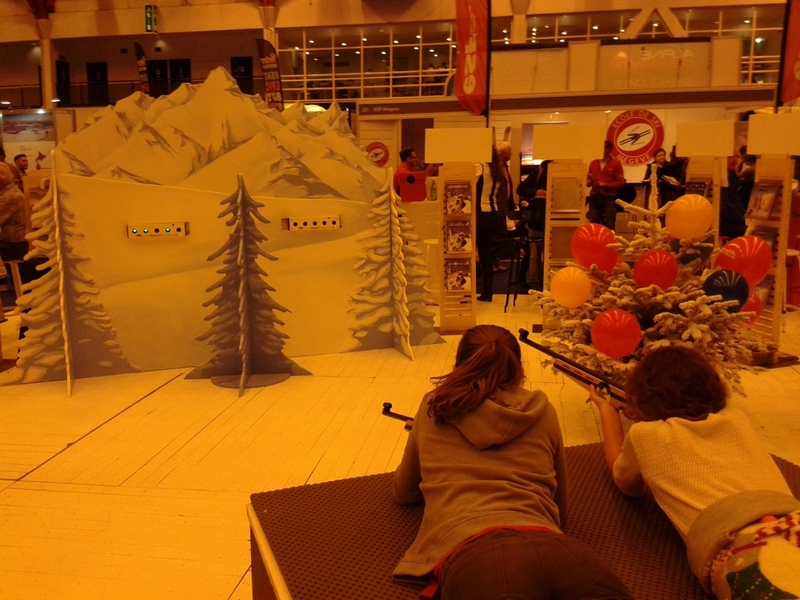 At the London Ski and Snowboard Show this week, they were enjoying the biathlon challenge (skiing slalom on a ski trainer, then shooting a laser gun at targets) on the Frances Montagnes stand – a feature sponsored by the ESF. However, awareness of the issues will have increased by those attending the show on Thursday, due to a small protest just outside the entrance to Earls Court 2. The clear message was that visitors to the show should ‘Say No! to the ESF’. Brennan told us that he designed and paid for the flyers, posters and tshirts that he and his colleague were wearing himself. ‘It didn’t cost very much,’ he said. Naturally, it’s hard not to be suspicious of such altruistic motives. Brennan does not work in the industry as far as we are aware. He is in fact a martial artist and personal trainer, with some success at cage fighting. 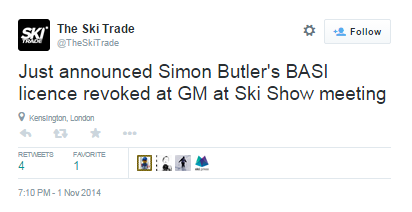 He did, however, link him to Megeve via Facebook, where he has given a five star review to the Cote 2000 restaurant. He also revealed that he knows Alex Casey – one of the instructors arrested in Megeve as part of the Simon Butler case last winter. Whether he has acted alone or not, he clearly has strong views on the ESF ‘stopping British business. ‘I’m like a modern-day Batman,’ Brennan told us. The ESF need to make sure they don’t play the Joker.